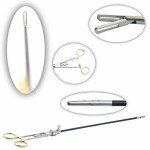 These are only a few of examples of our extensive line of German- and American-made bariatric surgical instruments. Don't see what you're looking for? Browse our website, use the search function, or contact an Instrument Expert for more information! 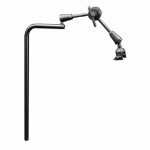 Endoscope Holder Positioner	Multiple types of instrument holders that mount to accessory rails. Stainless steel, autoclavable. 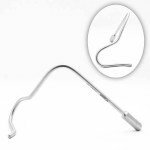 Lap Reusable Trocars	Stainless steel with trumpet valve - straight and 45 degree angle - standard and threaded. Spring loaded, hasson, reducers, dilation sets, cleaning brushes, sealing caps, and more. 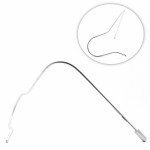 Lap Needle Electrodes	Monopolar needle electrodes for laparoscopic surgery. Retractable needle electrodes for precise lap cutting and coagulation. 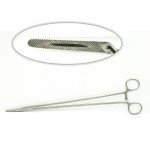 Lap Clip Applier and Needle Holders	Laparoscopic clip appliers and needle holders for 5mm and 10mm single clip application, modular 3-piece needle holders, custom lengths, and more. Reusable Lap Instruments	Multi-functional laparoscopic instruments. 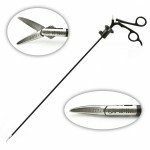 Choose from many handle styles, three instrument styles, 33cm or 45cm lengths, and dozens of dissectors, graspers, forceps, and scissors. 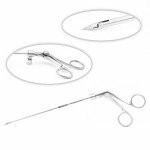 Lap Bariatric Instruments	Laparoscopic surgical instruments in 45cm length including slide locking wave grasper, Nathanson retractors, Martin Arm and incision site closure device. 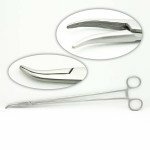 Modular 3-Piece Lap Instruments	Our most popular lap instruments with six handle styles. Available in a variety of lengths. Laparoscopic Trocar Incision Closure Reusable System	Reusable trocar incision wound closure device. Ideal for all laparoscopic procedures including bariatrics. 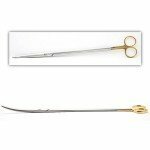 Prestige Style Graspers	Compare to Aesculap* Prestige-style graspers. In 32cm and 45cm lengths, rotating and non-rotating styles. Fundus and Retraction Graspers. 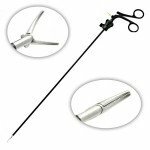 Lap Knot Pusher	Nine styles of laparoscopic knot pushers. 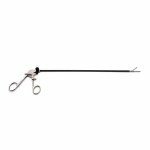 Articulating-Fan-Retractors	A wide variety of fan retractors, elevators, levelers, and Nathanson-style liver retractors. Nathanson-Retractors	Nathanson Retractors in 5.0 and 6.5mm diameter. Features measurement chart and ordering information. Browse through our most popular instrument types and specialities using the links below. Don't see what you're looking for? Try browsing by type or specialty using the main menu. If you know what you need, contact us!